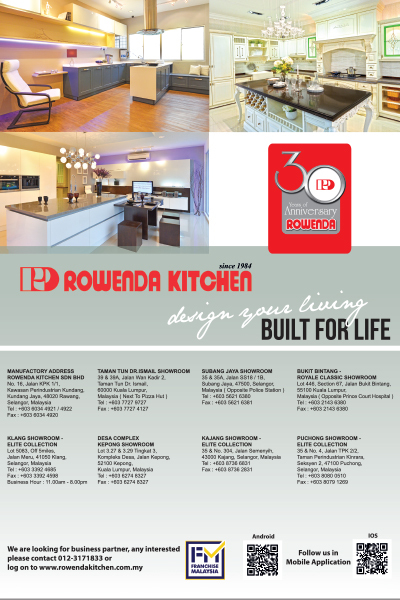 Rowenda Kitchen was established to replace Rowenta Kitchen & Design Co., which was incorporated in 1984. The change in name was to build on our brand reputation. Rowenda Kitchen provides total kitchen solutions for your home, from kitchen cabinetry to kitchen accessories and appliances. We also specialize in wardrobe systems and customized build-in furniture such as TV cabinet, bar, counter, etc. At Rowenda, we provide free design consultancy by taking into consideration your living space, taste and budget. Having our own factory and team of skilled carpenters means the ability to offer you quality products at a reasonable price. Indeed, our success over 25 years has been built on the philosophy of always putting our customer first.